Hamilton : India vs New Zealand 3rd T20: New Zealand defeated India by four runs in the third and final Twenty20 International (T20I) to clinch the series 2-1 here on Sunday. Chasing a mammoth 213-run target, India could only manage 208/7 in their 20 overs. 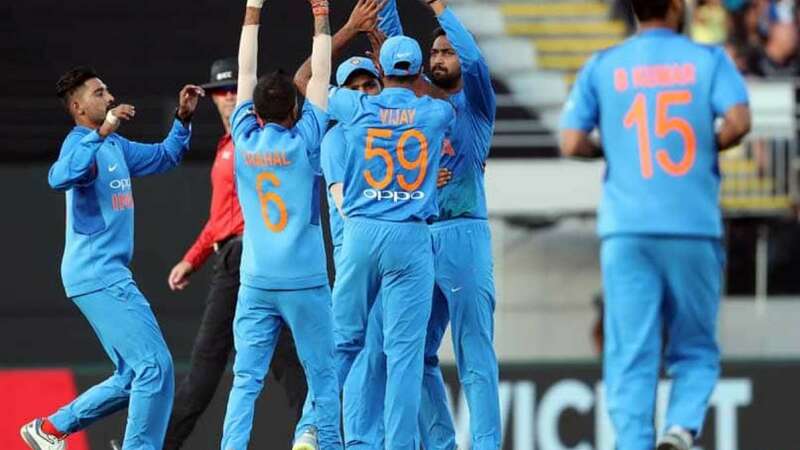 India won the toss and elected to field against New Zealand in the third and final Twenty20 International match here on Sunday. India made one change in its playing XI. Chinaman Kuldeep Yadav came in for leg-spinner Yuzvendra Chahal. For New Zealand Blair Tickner received his T20I cap. He replaced Lockie Ferguson. Innings Break! New Zealand post a mammoth total of 212/4 for #TeamIndia to chase.